Good morning Blended Blog friends! 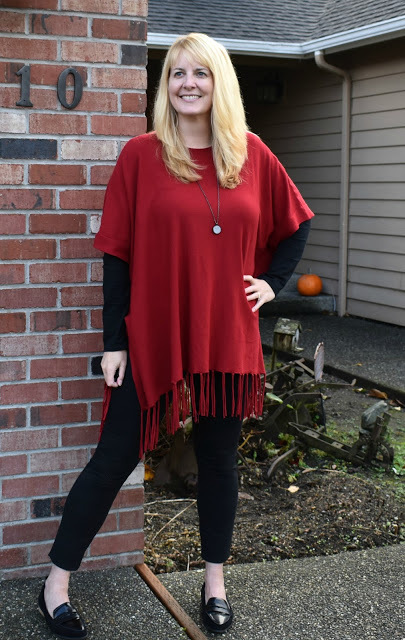 Shelly here from The Queen in Between blog and I'm super excited to be your hostess here today sharing one of my very fave combos of ALL time. Stripes and plaid would have never crossed my mind as early as five years ago but now I can hardly get enough. The key to combining stripes and plaid is really simple, you just need to balance out the patterns. 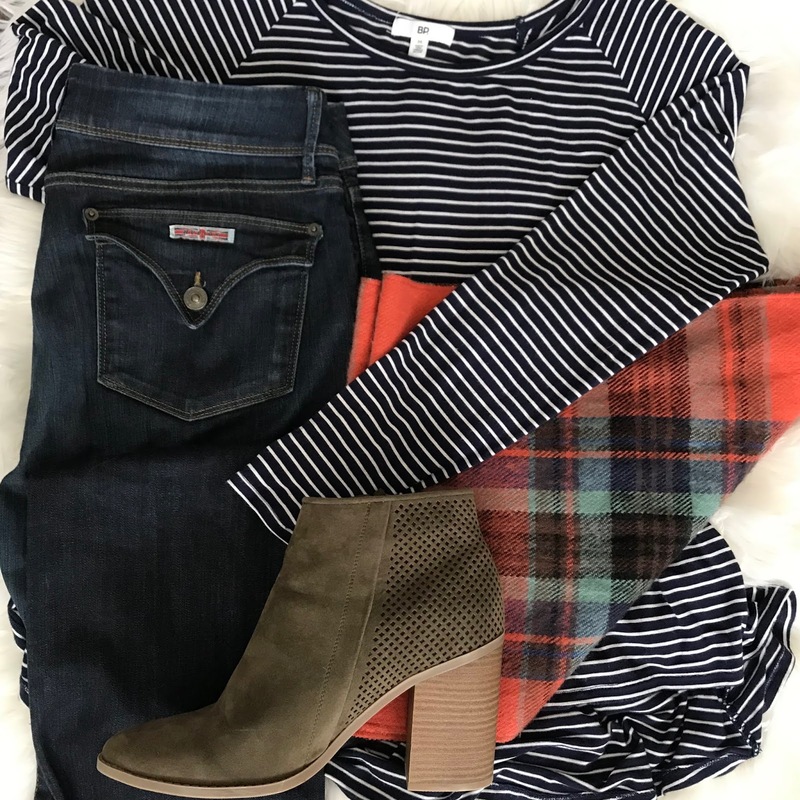 In the look below I've paired a simple stripe with a much bolder plaid and it works perfectly. Grabbing colors which compliment each other is also key. You can hop over to The Queen in Between to see me sporting this look along with some of my favorite stripe & plaid combos! These two ladies were our top two most clicked posts from last week! If you haven't already go give them some love. I for one clicked on this one last week because one how cute is this cape and two how cute is Lauren from All About That Mommy Life?! The second most clicked was our very own sweet and stylish Lana from My New Happy. 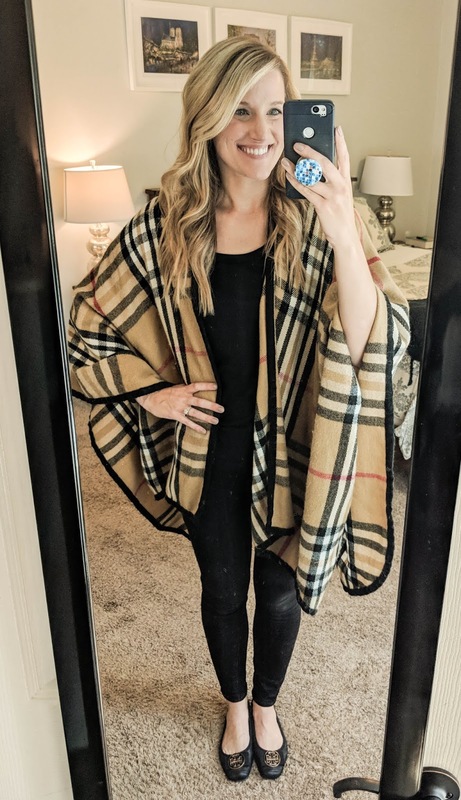 This poncho is super cute and she is the second blogger I've seen sporting it this week. 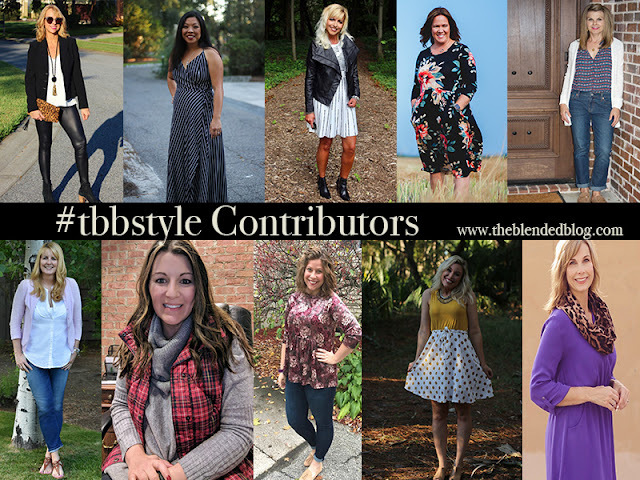 We would love for you to stop by and meet the rest of our Blended Blog Style Team!